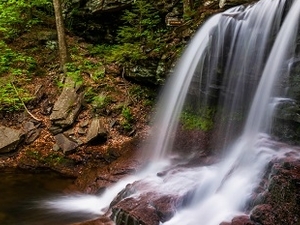 There are 24 named waterfalls in Ricketts Glen State Park in the U.S. state of Pennsylvania, ranging in height from 9 to 94 feet (2.7 to 29 m), along Kitchen Creek as it flows in three steep, narrow valleys, or glens. 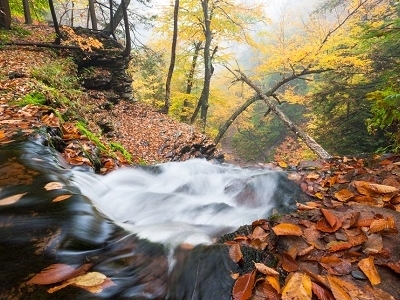 Ricketts Glen State Park is named for R. Bruce Ricketts, a colonel in the American Civil War who owned over 80,000 acres (32,000 ha) in the area in the late 19th and early 20th centuries, but spared the old growth forests in the glens from clearcutting. 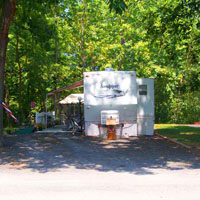 The park, which opened in 1944, is administered by the Bureau of State Parks of the Pennsylvania Department of Conservation and Natural Resources (DCNR). 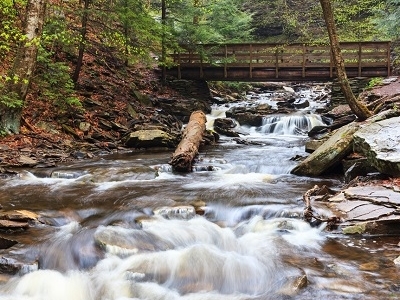 Nearly all of the waterfalls are visible from the Falls Trail, which Ricketts had built from 1889 to 1893 and which the state park rebuilt in the 1940s and late 1990s. The Falls Trail has been called "the most magnificent hike in the state" and one of "the top hikes in the East". 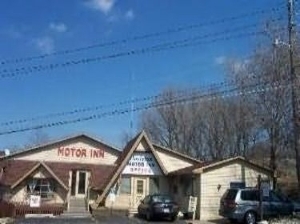 The waterfalls are on the section of Kitchen Creek that flows down the Allegheny Front, a steep escarpment between the Allegheny Plateau to the north and the Ridge-and-Valley Appalachians to the south. The glens are made of sedimentary rocks from the Huntley Mountain and Catskill Formations that formed up to 370 million years ago in the Devonian and Carboniferous periods. The waterfalls are the result of increased flow in Kitchen Creek from glaciers enlarging its drainage basin during the last Ice Age. 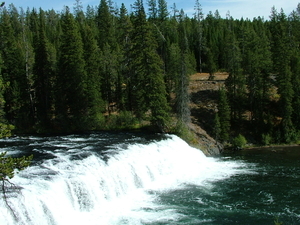 Ricketts named 21 of the waterfalls, mostly for Native American tribes and places, and his family and friends. 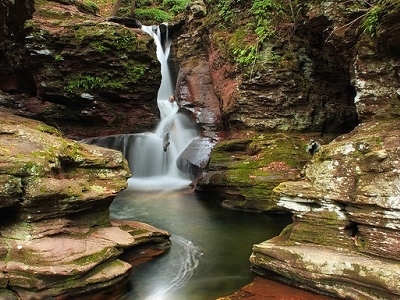 There are ten named falls in Ganoga Glen, eight named falls in Glen Leigh, and between four and six named waterfalls in Ricketts Glen. 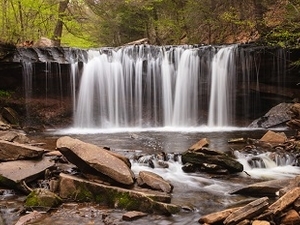 The DCNR names 22 falls, the United States Geological Survey (USGS) Geographic Names Information System (GNIS) names 23 falls, and Scott E. Brown's 2004 book Pennsylvania waterfalls: a guide for hikers and photographers names 24. 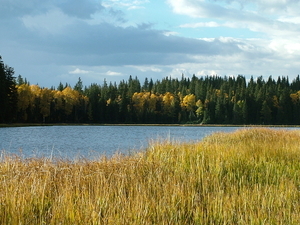 The falls are described in order going upstream along the creek for each of the three glens.